Under the new credit card regulations, your credit card company must give you 45 days notice before increasing the interest rate on your card, but there are a variety of cases when that rule doesn't apply. A variable rate includes an index, such as the prime rate, plus a margin tacked on by the credit card company. The new rules prohibit credit card companies from increasing the margin on existing balances unless you're 60 days late on payments, and on new purchases during the first year of an account. After that, they have to give you 45 days notice before hiking the margin on new purchases. However, your rate may still go up and down when the index changes. Credit card companies don't have to give you a heads up about fluctuations in the index. 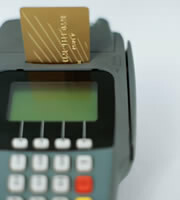 Make sure you understand the difference between the regular rate and the teaser rate the credit card company offers. After that introductory period expires, your rate reverts to the disclosed "go to" rate, and credit card companies don't have to you give you notice. Your credit card company can hike the rate on your account without giving you any notice if you've had trouble paying your bill and then fail to make the agreed upon payments in a workout agreement with the credit card company. Bottom line: Pay your credit card bills on time to protect your credit score and prevent interest rate increases. These instances of credit card rate increases shouldn't take you by surprise if you've been paying attention to your account and have shopped carefully for credit. Remember, read all the terms and conditions before applying for a credit card so you understand how your interest rate is calculated, pay your bills on time, and read all the communication from your credit card company. What may look like junk mail could be the required 45-day notice for a rate increase. 0 Responses to "Advance Notice on Credit Card Rate Changes: When It's Not Required"